Glendale CA – On Tuesday, February 20th 2018, Yasmin K. Beers was appointed Glendale City Manager by Glendale City Council. Mrs. Beers moved to the United States from Iran when she was eight years old. She began her career in Glendale in 1987 working in the Library Department while she attended Hoover High School. She later went on to receive a Bachelor of Arts degree in Political Science from the California State University, Northridge, followed by a Master’s degree in Organizational Leadership from Woodbury University. Mrs. Beers has been serving the City of Glendale in different capacities for the past 31 years. In November 2017 she was appointed Interim City Manager, prior to which she was appointed to serve as Assistant City Manager in 2010 and Deputy City Manager in 2000. As City Manager Mrs. Beers will assume the role of a chief administrative officer. She will direct and coordinate all of the business affairs of the City, as well as lead and oversee the 1600 city employees working in various departments. 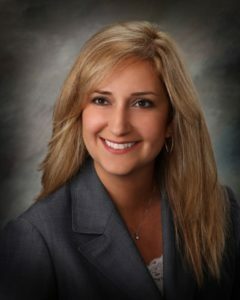 She is the first woman to serve as City Manager in Glendale’s history. The Armenian National Committee of America – Glendale Chapter would like to congratulate Yasmin Beers on her appointment. We look forward to working closely with her towards issues that concern the Armenian American community and the Glendale community-at-large.